Free eBooks for the Body, Mind & Soul: Happy Weekend! Heads up, beautiful people! The next book in the Project Blissful series is now available on Amazon.com’s Kindle store, and today and tomorrow ONLY, you can get it totally free. Don’t have a Kindle? No worries. You can download the app for free and read these (and tons of other awesome free and low-cost books) on any device you like – even a PC or Mac. Get your free Kindle app here. FREE CAREER HACKS EBOOK THIS WEEKEND! I’m excited to tell you that this weekend, I’m giving you my newest ebook totally free! 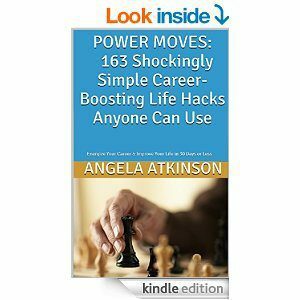 It’s called Power Moves: 163 Shockingly Simple Career-Boosting Life Hacks Everyone Can Use, and it’s all about building, creating and owning your career. Believe it or not, you’re not as STUCK as you think you are! Nope – in fact, the truth is that you can become whatever you really want to be, even if you think it’s too late. It’s NEVER too late to become what you might have been – but if you’re not sure where to start, this is the book for you. So please, if you’ve got the time, go download this book before it goes back to the regular price! That’ll happen on Monday – and there are absolutely no strings attached. Wanna know how I did this? Click the photo to be taken to your free download at Amazon.com! Need to lose weight? Got one more freebie for ya! Oh yeah, one more thing! After I lost 100 pounds, so many people were asking me how I did it and kept it off (for more than 3 years, so far), so I finally wrote a book about it. Who am I to help you with making your life better, anyway? My name is Angela Atkinson and I’m QueenBeeing’s resident life coach and editor-in-chief. You might already know all about me, but just in case you’re new around here, I’d like to offer up a bit of history. See, my first love is writing. I went to school for journalism and have loved working in the field. But I found myself blogging about personal development because I found that learning and researching and testing various theories and techniques helped me to become a better person. As a natural empath, I find myself helping people figure out their heads and their lives all the time. It’s only natural that it flows through my writing as well. That’s the reason I became a certified life coach. 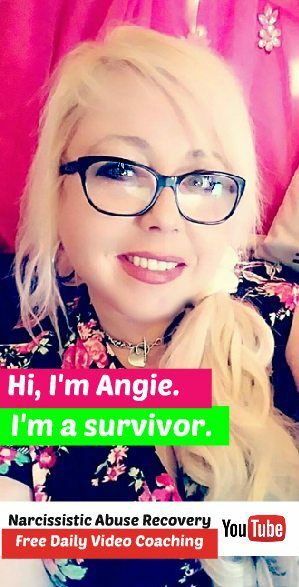 Sure, I’m a writer first, but I’m a writer with a really important message to share with the world – and the reason I became a certified life coach was to allow me to further share that message – the one that says that every single person alive has the potential to choose the life they want. I am all about passion – in my life, my relationships, my work – everything. I find that if you can do it with passion, it’s worth doing. And while I believe in my message so strongly that I really want to give every piece of information I have away (and I do), I also sometimes need to get paid, if I’m going to continue doing this work that I love so much (and that has helped so many people so far – and continues to do so – more than 15 thousand subscribers strong so far! ), so I sell my books too. I do keep the prices super-low, though, because hey – I’ve been broke before and could’ve really used some of this advice. I love to pay it forward – so none of my individual ebooks are priced over $5 (most are less than $3). Still, I want you to have the book for free if possible. All I’d ask is that you’d consider reviewing it on Amazon.com, if it’s not too much trouble. One more time – here’s my Amazon.com page for a full list of my currently available ebooks. 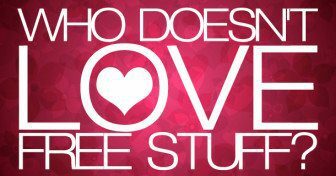 So how do you get in on the free stuff? Check this out. There are a couple ways you can get on the free book train around here. First, you can just keep an eye on our site (or our Facebook page) – we will always post about our free ebook giveaways here. Check out my author page at Amazon.com for a full listing of available titles. Here are a few of my most popular currently published works.